I just got back from a vacation, and one of the things that I should have done before leaving is write this article. Had I done so, I would have had full access to my Media PC while we were out of town. Nevertheless, we did still enjoy Netflix (as long as we were in the US). Now that I'm back, I'll share with you how you can enable place-shifting and remote access for your Windows 7 based Media PC. 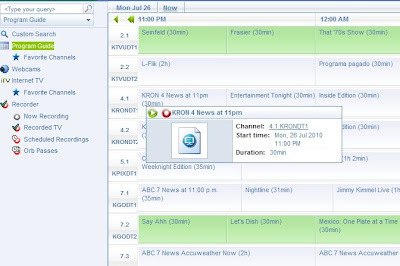 While a DVR allows you to time-shift, place-shifting is the term coined for enjoying your recording programs (or live TV) in another location. You might want this ability if your Media PC is in one room and want to watch it's content somewhere else (like in another room or even across the Internet). Also, you probably want to be able to change your recording schedule from a remote location as well. I used to have a Slingbox for our Cable DVR that allowed us to watch and control it when away from home (or even from another room). This came in handy for vacations or watching TV in bedrooms. Now that I've cut the cord, I want that functionality back. 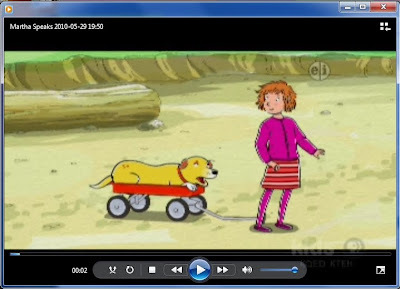 Unfortunately, this isn't included in Windows Media Center, so I needed some add on programs. I've been playing with Remote Potato (for remote access), and Orb (for place-shifting and Live TV streaming) and really like them. There are also other ways you can do this (like remote desktop that I'll cover briefly). I'll also touch on what you can do if your Media PC happens to be sleeping when you need to access it. 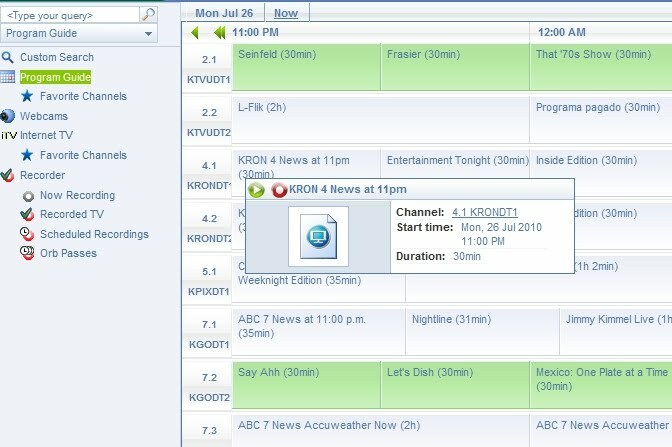 Remote Potato is the missing piece of Windows Media center that allows you to access your TV guide, manage your recording schedule, and even stream recorded TV programs. The beta/development release (shown above) also adds remote access to your music and pictures libraries. Even better, all of this is available from within a browser from anywhere on the Internet. You don't need to install any software on your remote client (Silverlight is optional). You can even access your Media PC from your smartphone (like an iPhone). All of this sounds like exactly what is needed, but there are things that it doesn't do (like allow you to watch Live TV). Also the ability to stream video is pretty limited in functionality. This is why I installed Orb which I will cover in a moment. 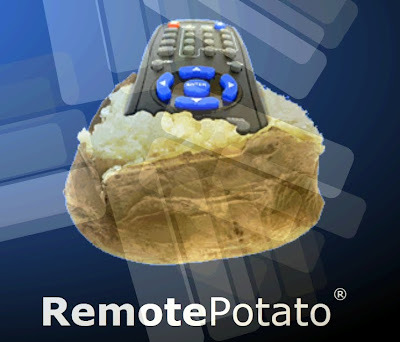 Nevertheless, Remote Potato is very useful and is simple to install. Remote Potato's main interface is rendered in Silverlight with a HTML-only mode for compatibility (works great on my iPhone). To install it, just follow the relatively simple setup here. 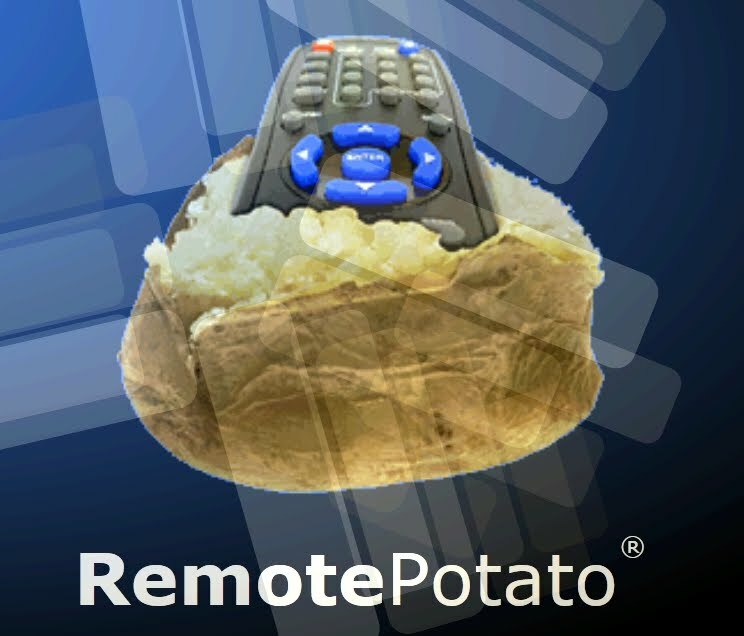 While streaming from within Remote Potato is really convenient, there are some problems. I couldn't find any way to either fast-forward, rewind, pause or even seek to a specific point in the video. 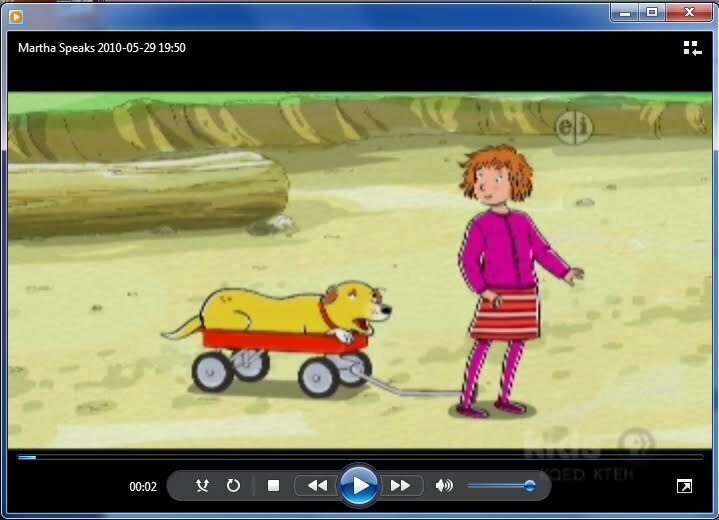 Also, many of my recordings are of interlaced content and the deinterlacing seemed poor or non-existent. Finally, you can't watch Live TV. Clearly this is an area of work in progress for Remote Potato. Here is my iPhone accessing the recording guide. Obviously, this is with the HTML interface, not silverlight! So, while Remote Potato is a great app for remotely modifying your recording schedule and browsing the TV guide, you will probably want another solution for remote streaming (at least until it adds more functionality). So, with Remote Potato, we are missing the ability to nicely stream our recorded TV programs and have no way to stream live TV. Orb provides both of these features and more. Clearly there is overlapping functionality between Orb and Remote Potato (and even between Orb and Media Center). However, there is no reason why we can't use all of them and take advantage of their strengths! Orb installs easily on your Media PC in much the same way as Remote Potato. I recommend getting the very latest version. I had a version that was a few months old and have already noticed the improvements in stability after updating. Also, even though Orb is supposed to auto-update (it hadn't). 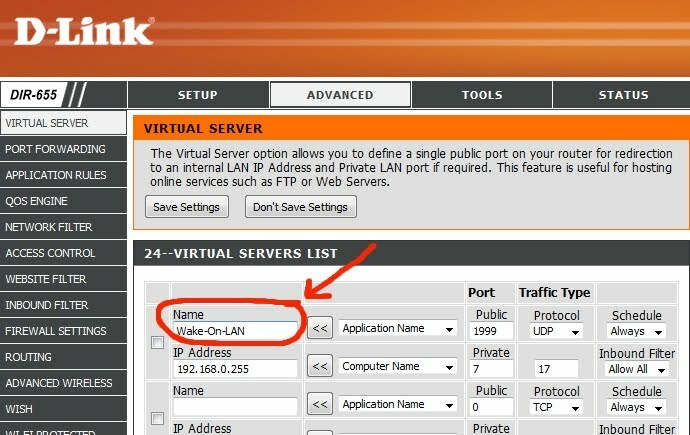 While Remote Potato requires you to open a port on your router for Internet access, Orb does not (nice!). This makes installation for remote access much simpler. 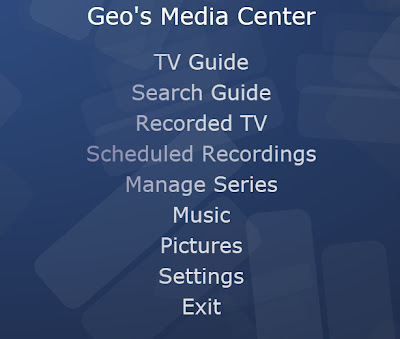 You access your media via Orb through a web interface (so no software to install). There is even an iPhone client (for $10). To access your Orb account, go to http://mycast.orb.com and enter your username & password. One down side to Orb is that it really isn't aware of Media Center. 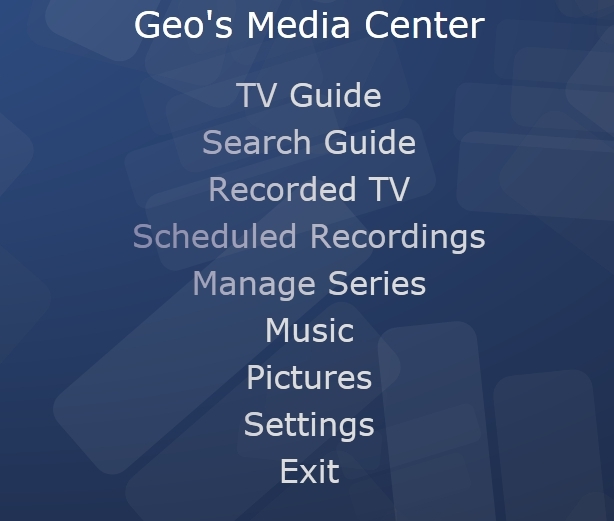 You can't get Orb to tell Media Center to record a program (although Orb will do it itself). 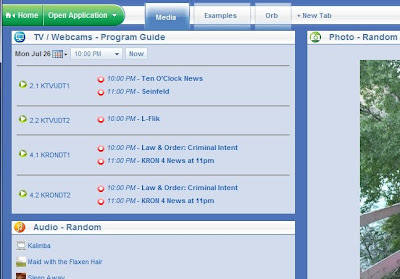 Orb automatically picked up my recorded TV programs from WMC, so I had no problem playing them back. Plus, I could seek, and pause the playback (unlike Remote Potato). It isn't a perfect playback experience, but it works. It also seems to adapt to how much bandwidth that you have available (which is nice). Side Note: One thing I noticed a long time ago when watching live TV via computer is that you often see a bit of random lines of garbage on the top of the video. Normally this is invisible if your TV has overscan. Unfortunately, when streaming content in a window or on a monitor, you will see this. There are ways to get rid of this (like with a video filter called ffdshow, but that is a topic for another post). 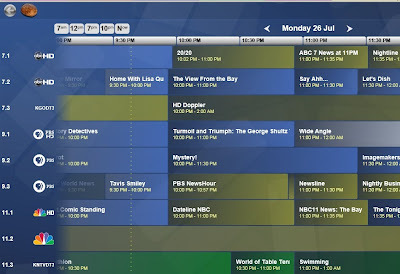 You can even browse the current TV guide (as setup by Orb), and watch Live TV the same way (assuming one of your Media PC's tuner is free). All in all, Remote Potato and Orb make a great combo for providing place-shifting and remote access! It is a little kludgy to use two very different programs, but it is nice to have this functionality and well worth the effort! What if your PC is sleeping? All of this software installed on your Media PC works only if it is awake. My Media PC normally will only wake up it if has something to do (like record a TV show). This isn't a problem if I am next to it as I can simply wake it up with my remote. This works great for me as my Media PC is truly a green solution as it only uses 2 watts when sleeping (so it is worth the hassle)! This doesn't work so well when I'm away from home (on vacation). Clearly I need a way to wake up my Media PC remotely. Normally, Wake-on-lan would be the solution, but that only works within a subnet (and not across the Internet). Fortunately, newer routers have the ability to receive special packets from the Internet and turn them into a Wake on lan packet that can wake up your sleeping Media PC. There is one major limitation: Wake-on-lan (within your home's lan) only works on wired network interface cards. Note: there is such a thing as wake on wireless lan (WoWLAN), but as far as I can tell support is pretty rare. So, as long as your Media PC is connected to your subnet via an ethernet wire (and you have a good router), you can get this to work. Unfortunately, for me, my Media PC is wireless so I'm out of luck. I do have some options though. When I go on vacation, I could simply force my Media PC to never sleep. This isn't a bad choice for short vacations. I could also switch to a wireless bridge (essentially converting my Media PC to a wired device). Getting and testing Remote Wake on Lan working requires a few steps, but isn't that hard. You first must make sure that your Media PC responds to a normal Wake on Lan locally. Once that works, it is simply a matter of configuring your router. Here is a really good overview of the whole process at smallnetbuilder. Once you get it working, you'll have the ability to wake your computer from anywhere in the world! Then you can access it via Orb, Remote Potato or anyting you like! Pretty cool! 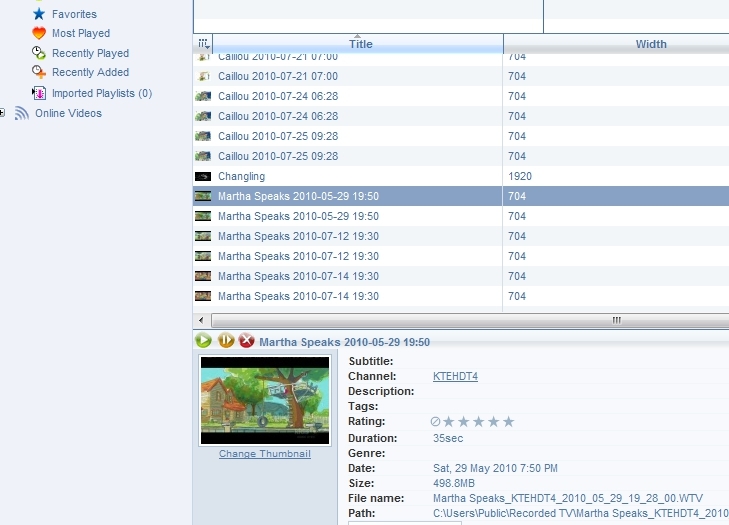 Finally, as I mentioned at the beginning, there are other ways to remotely access and control your Media PC. One natural choice is Window's built in remote desktop capability. Not only could this potentially solve the remote access problem for Windows Media Center, but would come in handy in other ways. I'm still working on this part of the post, but have already learned some things. First of all Windows 7 Home Premium (running on my Media PC) doesn't include the ability to host a remote connection. I have read that there are some work arounds for this. 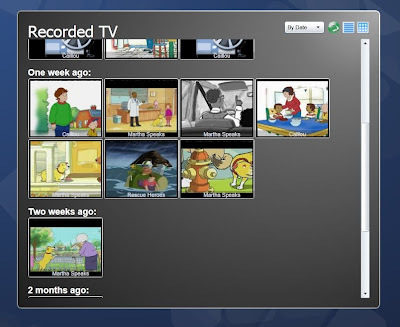 Remote Potato and Orb make great additions to the functionality in Media Center. They are relatively simple to setup and have quite complimentary capabilities. Definitely recommended and well worth checking out! 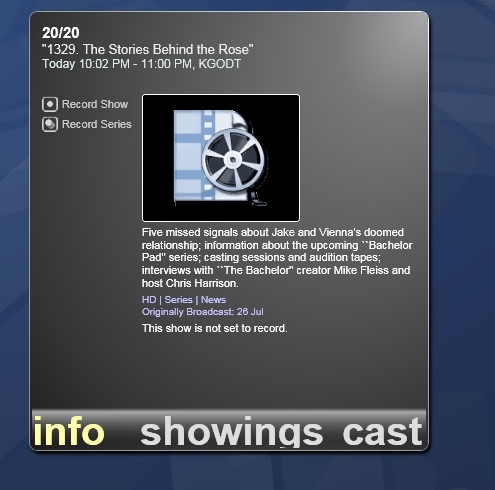 As pointed out by a member "Suntan" over at AVSforum, SageTV (an alternative to WMC) has place-shifting as an extra feature. I'm sure other Media PC packages have their solutions as well (to various degrees). Definitely something to consider when selecting the software you run on your Media PC.